The Rottweiler is a large and robust breed that enjoys having a job to do. These dogs are confident and smart, and they often work as service dogs, therapy dogs, herding dogs, or police dogs. This is an old breed with roots back to ancient Rome. The dogs are believed to have arrived to Europe with Roman invading forces. When they reached Germany, people there appreciated the dogs' herding and guarding instincts, and bred them to enhance these traits. 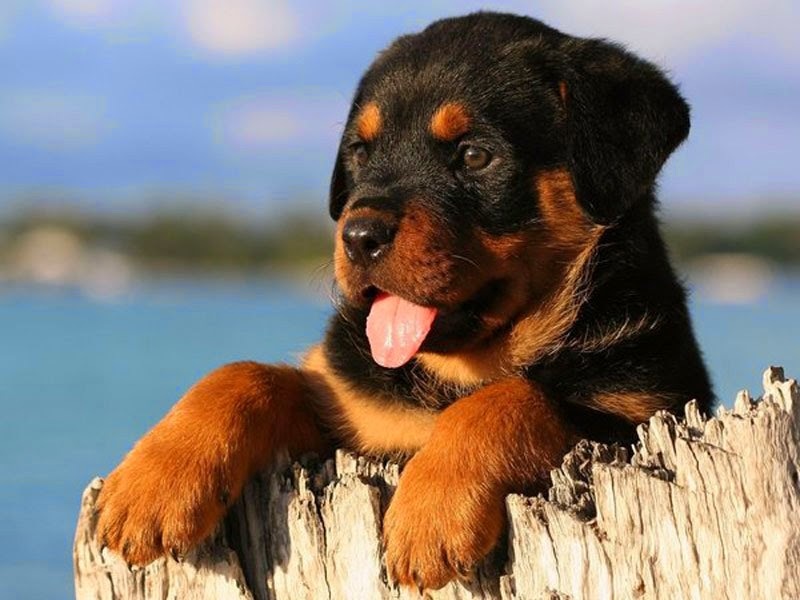 Rottweilers have herded animals in Germany for at least 2,000 years. They almost became extinct during the Industrial Revolution, but a breed club was formed in the early 1900s and brought the dogs back. Rottweilers adore their families and are generally patient and good-natured. As with all breeds, early training and socialization helps create a well-balanced dog that adapts well to different people and environments. These dogs need a lot of exercise, but very little grooming. The size varies between the genders. 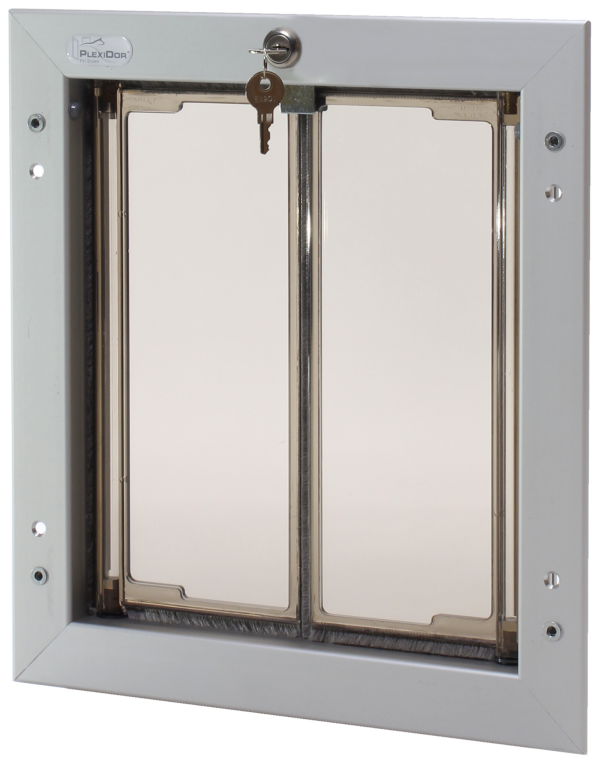 Females generally weigh between 77 and 105 lbs and do well with a large PlexiDor dog door. 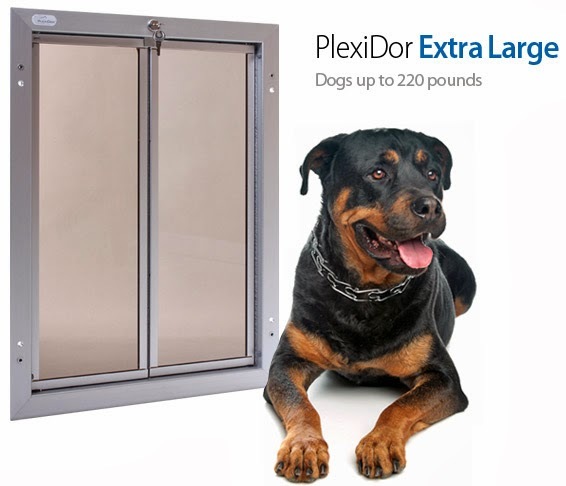 Males weigh between 110 and 132 lbs and need an extra large PlexiDor dog door. 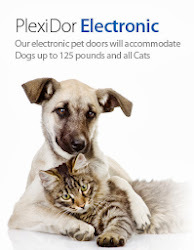 Households with dogs of many sizes should naturally choose the larger door; the panels swing open easily and a smaller dog can use a larger door.